Here are some facts about health and medicine in Tudor times. Tudor medicine mostly consisted of herbal remedies. For example, a mixture of sage, lavender and marjoram was recommended to treat a headache, chamomile was taken to help ease a stomach ache, and feverfew was consumed to help with colds and high-temperatures. Herbal remedies were often known as ‘simples’ and most Tudor women would have known how to make them. Other Tudor medicines were much more outlandish. For example, it was thought that smallpox could be cured by hanging red curtains around the patients bed, and jaundice could be cured by drinking lice mixed in ale every morning for a week. Bleeding was a common practice in Tudor England. People believed that illness was often caused by having too much blood, so ‘bad blood’ was let (either by cutting a vein or by applying leeches to the skin). There wasn’t a National Health Service in Tudor England, so the type of doctor Tudors saw if they were feeling unwell varied according to how much money they had and where they lived. The wealthy were visited by Tudor physicians or surgeons. Tudor barbers could pull out rotten teeth or let blood. A Tudor apothecary was the Tudor version of a pharmacist, selling medicine and remedies. Poor Tudors would get basic health care from their own family members, the Church or by visiting the local wise woman (who would make herbal remedies and potions). 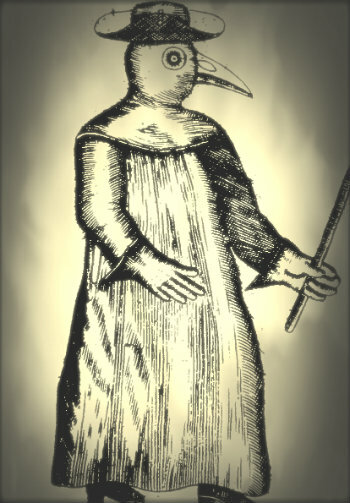 Plague Doctors, who treated those suffering from diseases like the Bubonic Plague (the Black Death) and typhoid, dressed in a beaked mask, boots, gloves and were wrapped head-to-toe in vinegar-doused clothes. The Tudors didn’t know about antibiotics or anesthetics. Tudor doctors often examined a patient’s urine – checking its smell, colour and even taste! Astrology also played a key role in diagnosing a patient’s illness. Some individuals did begin to advance medical knowledge in Tudor times, basing their findings on observation and evidence, rather then tradition and superstition. Leonardo da Vinci made accurate drawings of a human bodies, Andreas Versalius published a book called The Fabric of the Human Body which included many accurate diagrams of the human anatomy, and Ambroise Pare improved the way in which wounds were treated and designed artificial limbs. What next? Find out more about The Tudors by visiting out Tudor resources page. really good got full marks on the project! !